How Would Net Neutrality Affect Those With Difficulty Accessing The Internet? In ASK LBMC, a part of the Long Beach Media Collaborative’s Strengthening the Signal series, our reporters answer your questions about the digital divide in Long Beach. To see other reader questions we’ve answered, click here. 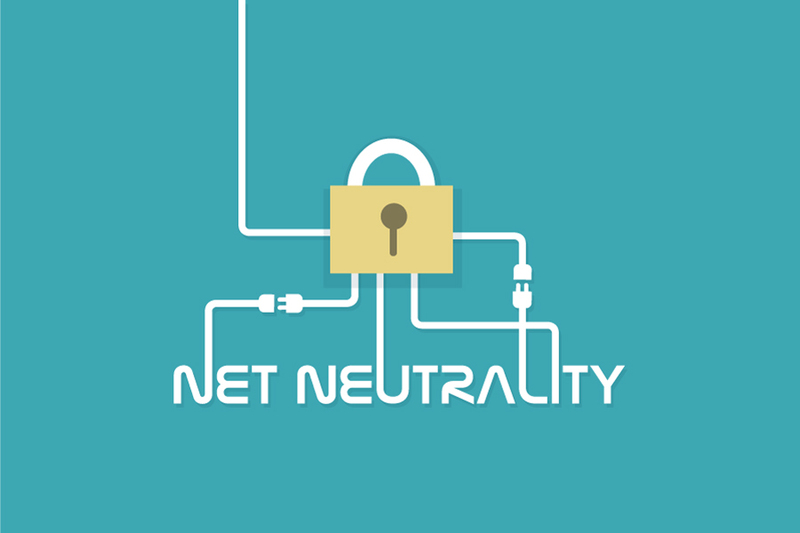 The Federal Communications Commission’s anticipated December 14 vote on whether to repeal net neutrality rules – which says all data on the Internet must be treated equally regardless of company, website, data type, etc. – will affect Internet users, but not in the way one might think. The pending decision affects the access provided to content or application providers such as YouTube, Amazon Prime, Netflix and voiceover Internet protocol (voIP) services such as Vonage that require high bandwidth. For example, let’s say Netflix was one of these startups. It’s the kind of service that cable/internet companies might want to slow down access to because that’s one of the technologies leading people to no longer subscribe to cable television, Neuman said. An ISP that also offers telephone services would want to slow down access to a Vonage to curb competition. The net neutrality decision could affect efforts to bridge the digital divide, Neuman said. Long Beach Public Library Foundation Executive Director Kate Azar in a Press-Telegram op-ed piece wrote that doing away with net neutrality would widen the digital divide. Meanwhile, Tom Struble, tech policy manager for the R Street Institute, says “the impending change in net neutrality will likely have a significant and positive impact on those who currently lack access to broadband or have limited options when it comes to broadband providers.” The R Street Institute is a nonprofit dedicated to promoting free markets and limited government via policy research and outreach. Struble added that the 2015 Title II reclassification, the regulation establishing net neutrality, currently in place has been depressing investment and deployment by broadband providers. Investments in broadband infrastructure have fallen by $5.6 billion since 2015, when the Title II order took effect, according to Struble. Struble said prioritization deals should be assessed on a case-by-case basis. A real world example of what happens without net neutrality can be found in Portugal, where there is no real net neutrality. The Business Insider recently explored the data structure of Portugal’s wireless carrier Meo, which has a tier structure that users pay on top of “traditional data.” They pay one price a month for messaging, another for social networks and another price to add on video apps, music apps and email or cloud apps. “I haven’t heard any proposals for that per se (in the U.S.) but we’ve got the flipside of that: the ISPs are wanting to be able to go to the service provider and collect extra fees, which would then ultimately get tacked on to whatever the cost of those services are,” Neuman said.